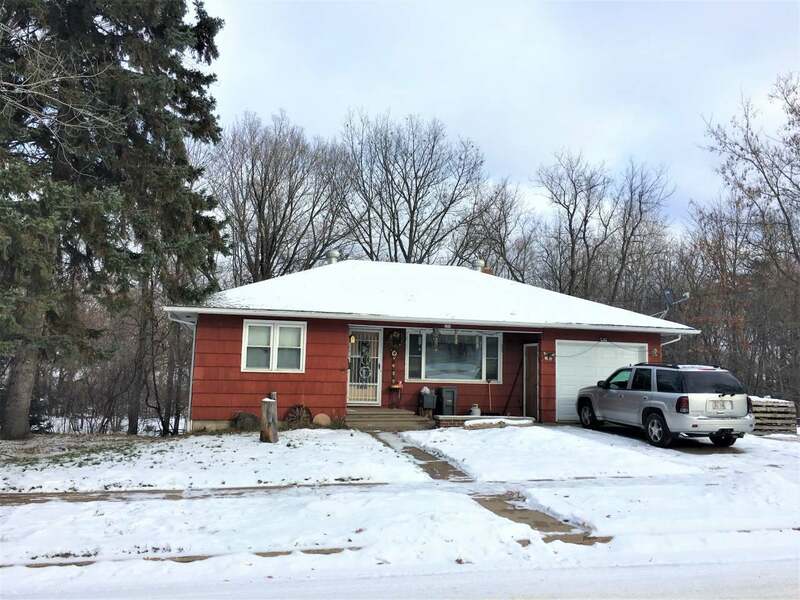 This cute and affordable 2 Bedroom/2 bath home with walkout lower level and large outbuilding is conveniently located right in town. There is a nice sized galley kitchen with pantry and main floor laundry room right off of the kitchen. A bonus room, 1/2 bath and large rec room in lower level offer additional living space, as well as a utility area with laundry hookups, shower, and workshop. Directly behind the dwelling is a large garage/workshop offering lots of additional storage, with high door and large enough to accommodate a camper and lots of toys. This unique in town set up is situated on an oversized lot with a large backyard and lots of room to spread out. Call for a showing today!